KNOWLEDGE OF COMPUTER AND MS OFFICE मराठी येणे आवश्यक. 12वी किंवा कोणत्याही शाखेचा पदवीधर. For more information and to ensure your details reach the correct person, please email hr@mehtapublishinghouse.com with a copy of your CV and a brief introductory email. Please no recruitment agencies. GOOD COMMUNICATION. KNOWLEDGE OF HR PROCESSES AND OPERATIONS. ADMINISTRATIVE SKILLS. KNOWLEDGE OF LABOUR LAWS AND COMPLIANCE. TROUBLESHOOTING SKILLS. HR ROLE : FORMATION OF HR POLICIES AND IT`S IMPLEMENTATION. RECRUITMENT. RETENTION OF EMPLOYEES. TIME OFFICE AND PAY ROLL MANAGEMENT. LEGAL COMPLIANCE. ENFORCING EMPLOYEE DISCIPLINE. ADMINISTRATIVE ROLE : HOUSEKEEPING. FACILITY MANAGEMENT. ANNUAL MAINTENANCE CONTRACTS. MAINTENANCE OF OFFICE AND OFFICE EQUIPMENT. RELEVANT EXPERIENCE FROM NON MANUFACTURING INDUSTRY. INTEREST IN BOOK READING AND PUBLISHING PROCESS. COMMUNICATION SKILLS. SELLING SKILLS. COMPUTER SKILLS. 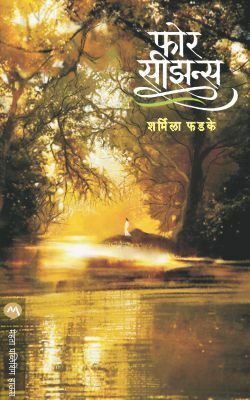 BOOKS SALE AT SHOW ROOM. HELPING CUSTOMERS IN BUYING BOOKS AND FACILITATING SALE OF BOOKS. SHOWROOM UPKEEP. BILLING AND CASH. MAINTAINING BOOKS INVENTORY AND STOCK. HSC OR GRADUATE PREFERABLY IN MARATHI. BASIC COMPUTER KNOWLEDGE. 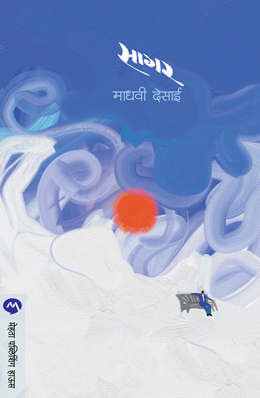 INTEREST AND KNOWLEDGE OF MARATHI LITERATURE. TECHNICAL KNOWLEDGE ABOUT SOCIAL MEDIA. KNOWLEDGE OF SOCIAL MEDIA TRENDS AND ANALYSIS. COMMUNICATION SKILLS. MARATHI WRITING SKILL. TECHNICAL SKILLS ABOUT CREATING SOCIAL MEDIA CONTENT. MANAGEMENT OF ALL SOCIAL MEDIA PLATFORMS - FACEBOOK, TWITTER, WHATS APP, INSTAGRAM, YOU-TUBE, BLOG. MANAGE SOCIAL MEDIA CAMPAIGNS AND DAY TO DAY ACTIVITIES. SOCIAL MEDIA CONTENT CREATION. SEED CONTENT INTO SOCIAL NETWORKS – PUT YOUR CONTENT WHERE IT HAS A CHANCE TO SPREAD. CREATE AND UPLOAD VIDEOS TO YOUTUBE, FACEBOOK, AND INSTAGRAM. FIND YOUR BEST PERFORMING CONTENT AND CREATE VIDEO VERSIONS OF THAT. CREATE AND MAINTAIN A SOCIAL MEDIA EDITORIAL CALENDAR AND POSTING SCHEDULE. SOCIAL MEDIA MONITORING. ANALYSE AND EVALUATE SOCIAL MEDIA CAMPAIGNS AND STRATEGIES. MONITOR TRENDS IN SOCIAL MEDIA. MONITOR THE ACTIVITIES OF MAIN COMPETITORS IN SOCIAL MEDIA. GRADUATION. DEGREE / DIPLOMA / COURSE IN SOCIAL MEDIA PREFERRED. DEGREE / DIPLOMA / COURSE IN SOCIAL MEDIA PREFERRED. WORKING EXPERIENCE FROM SOCIAL MEDIA MARKETING. 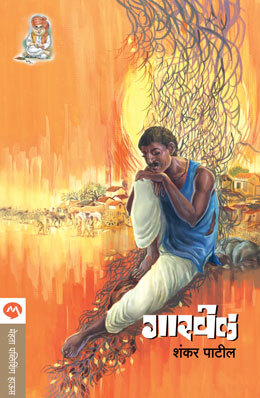 KNOWLEDGE AND INTEREST IN MARATHI LITERATURE. 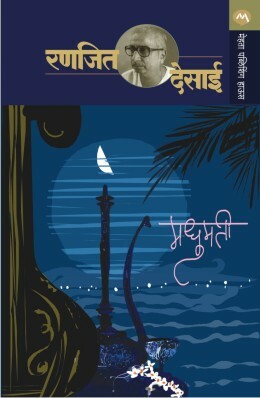 MARATHI READING. GOOD MARATHI COMMUNICATION. BASIC COMPUTER KNOWLEDGE. KNOWLEDGE OF MARATHI AND ENGLISH TYPING PREFERRED. KNOWLEDGE OF MS EXCEL PREFERRED. ATTENDING TO VISITORS VISITING OFFICE. ATTENDING ALL INCOMING TELEPHONE CALLS. MAKING OUTWARD TELEPHONE CALLS, AS AND WHEN NEEDED. COMPUTER DATA ENTRY AND TYPING. ADMINISTRATIVE DUTIES. ENGLISH & MARATHI TYPING SPEED. DRAFTING PRESS RELEASES AND NEWS. MARATHI COMMUNICATION SKILLS. MAINTAINING RELATIONS WITH PRESS AND MEDIA. MS OFFICE PROFICIENCY. GETTING BOOK REVIEWS FROM READERS AND CRITICS. COMMUNICATION AND PUBLICITY OF BOOK REVIEWS THROUGH PRESS AND MEDIA. PUBLICITY OF BOOK LAUNCH / PUBLICATION AND OTHER LITERARY EVENTS THROUGH PRESS AND MEDIA. DIPLOMA OR BACHELORS DEGREE IN JOURNALISM. 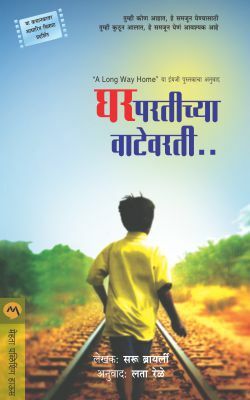 KNOWLEDGE AND INTEREST IN MARATHI BOOKS. GOOD RELATIONS AND CONTACTS IN PRESS AND MEDIA. COMPUTER PROFICIENCY, GOOD AT ACCOUNTS HANDLING, KNOWLEDGE OF SALES TAX,INCOME TAX,GST RULES. CO-ORDINATING WITH PUBLISHERS, EDITORS AND PRODUCTION TEAMS - FACE-TO-FACE AND VIA PHONE AND EMAIL. AGREEING RIGHTS FOR FOREIGN EDITIONS AND CO-EDITIONS. NEGOTIATING TRANSLATION RIGHTS. MAINTAINING POSITIVE WORKING RELATIONSHIPS WITH PUBLISHERS. SHARING INFORMATION AND OPINIONS WITH CONTACTS ABOUT THE COMPANY`S RANGE OF BOOKS. IDENTIFYING SUITABLE NEW MATERIAL FOR PUBLICATION AND LIAISING WITH RELEVANT CONTACTS. WRITING PITCH LETTERS TO NEW CONTACTS AND SOFT SELLING PUBLICATIONS. IDENTIFYING NEW PUBLICATION OPPORTUNITIES AND INITIATING CONTACT. LIAISE WITH PUBLISHERS, EDITORS AND PRODUCTION TEAMS. ASSESSING THE FINANCIAL VIABILITY OF AGREEMENTS. KEEPING ACCURATE AND UP-TO-DATE RECORDS. YOU WILL WORK CLOSELY WITH SENIOR MANAGERIAL OR DIRECTORIAL STAFF TO PROVIDE ADMINISTRATIVE SUPPORT, USUALLY ON A ONE-TO-ONE BASIS. YOU WILL HELP A MANAGER TO MAKE THE BEST USE OF THEIR TIME BY DEALING WITH SECRETARIAL AND ADMINISTRATIVE TASKS. CRITICAL THINKING USING LOGIC AND REASONING TO IDENTIFY THE STRENGTHS AND WEAKNESSES OF ALTERNATIVE SOLUTIONS, CONCLUSIONS OR APPROACHES TO PROBLEMS. READING COMPREHENSION -UNDERSTANDING WRITTEN SENTENCES AND PARAGRAPHS IN WORK RELATED DOCUMENTS. CREATIVITY. EXCELLENT KNOWLEDGE OF DESIGN SOFTWARE CORAL DRAW AND PHOTOSHOP. KNOWLEDGE OF MARATHI. RESPONSIBLE FOR CREATING ALL BRANDING RELATED MATERIAL FOR BOOK PUBLISHING. 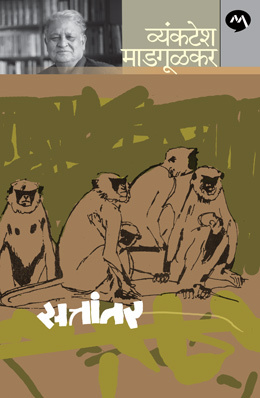 STRONG DESIGN STYLE, INCLUDING CREATIVE DESIGN SOLUTIONS WITHIN THE CONSTRAINTS OF THE INTERNET. RESPONSIBLE FOR BRANDING, LAYOUT, COLOR THEORY AND TYPOGRAPHY IN BOTH PRINT AND DIGITAL MEDIA. GOOD COMMAND OVER MARATHI AND ENGLISH. COMPUTER PROFECIENCY.GOOD ANALYTICAL SKILLS. MAINTAIN THE RECORD OF INWARD AND OUTWARD BOOKS. DAILY CHALLAN ENTRY. RECEIVE AND ENTRY BILLS CO-ORDINATE WITH ACCOUNTS DEPARTMENT.RAISE THE DEBIT NOTE TO THE PRINTERS FOR DEFECTIVE COPIES. 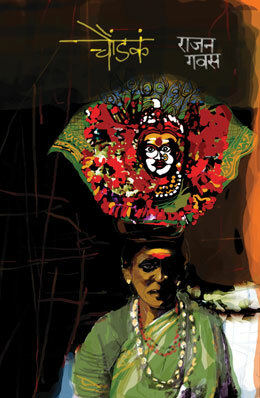 FOLLLOW UP AT DIFFERENT STAGES WITH PRINTERS, EDITORS, PROOF READERS, ARTISTS, DTP OPERATOR. MAINTAIN THE PROOF OF BOOKS. ANY GRADUATE, COMPUTER PROFICIENCY - MS OFFICE. 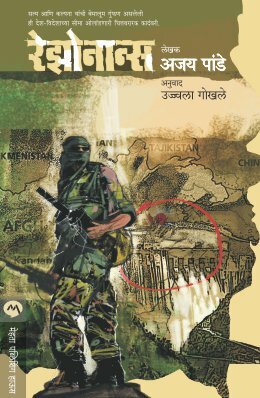 चांगले वाचन कौशल्य.व्याकरणाचे ज्ञान , मराठी आणि इंग्लीश लिहीण्याचे कौशल्य. मोठी वाक्य समजण्यासाठी चांगली एकाग्रता. संगणकाचे ज्ञान. 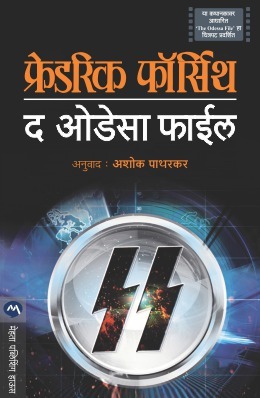 प्रूफ रीडिंगचे ज्ञान. 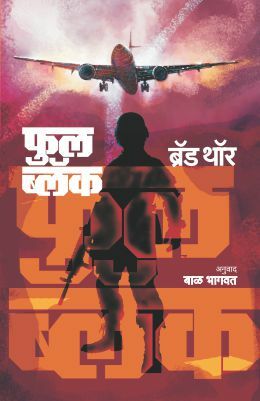 पुस्तकांवर संपादकीय संस्कार करणे , प्रूफ रीडिंग, सारांश लेखन, पुस्तकाच्या जाहिरातीचे लेखन. जाहिरातीची वाक्ये तसेच घोषवाक्ये तयार करणे. गरजेनुसार पुस्तकाच्या परिचय परिच्छेदाचे लेखन. 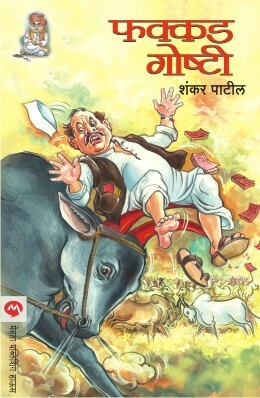 प्रूफ रीडिंग . पुस्तकासाठी अचूक KEYWORD शोधणे. 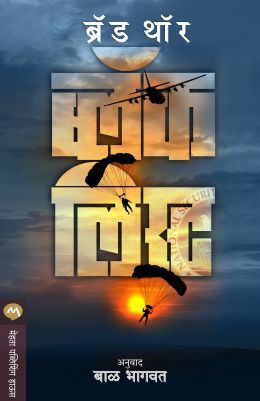 जागतिक साहित्याचे, साहित्य प्रवाहांचे ज्ञान . MUST POSSESS CERTAIN ESSENTIAL SOFTWARE SKILLS LIKE USING WORD PROCESSORS, SPREADSHEETS, DATABASE, AND OTHER RELATED RECORD MANAGEMENT SOFTWARE. ACCURACY AND SPEED IN MARATHI TYPING. ADOBE PAGEMAKER PROFICIENCY. 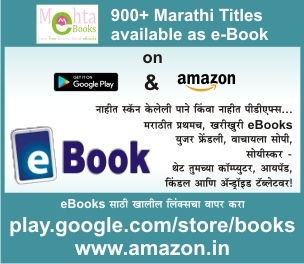 TYPE SETTING AND PAGE SETTING OF MARATHI BOOKS USING ADOBE PAGEMAKER. 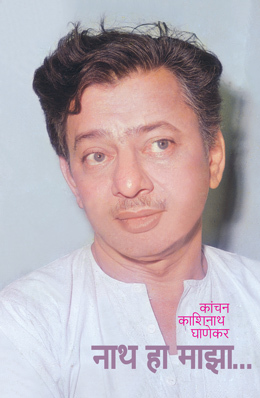 CO-ORDINATION AND EDITORIAL ASSISTANCE IN PUBLICATION OF MARATHI MAGAZINE.